that ensures that they gain long-term loyalty, referrals, repeat business and a pipeline of opportunities for the future. 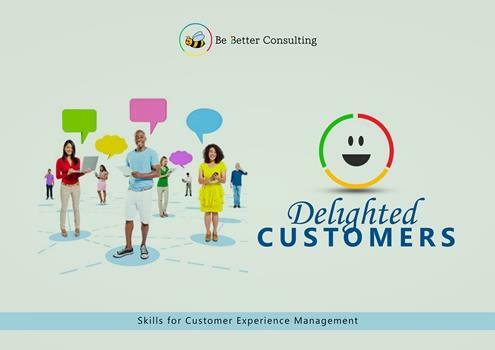 At the heart of creating delighted customers is the concept of managing customer experience. By paying attention to the expectations that customers have and the underlying behaviours that create a customer service culture, organizations can create the right experience for their clients across all stages of the product/service life-cycle. In other words, fantastic customer service is beyond plastic smiles and lip service, it is about proactively and consistently managing your customers’ experience. processes that deliver on their promises and more. knowledgeable about your products and services. understand their products and services, regulations and legislation and can position them properly with clients and prospects. and other touch points do not inspire your customers. payment platforms, call centers and even the physical appearance of customer-facing employees endears customers to your brand. with customers and their needs in a proactive way. empathy. Employees, listen, learn and respond proactively to the spoken and unspoken needs of customers.